Where to Spend an Anniversary? way back in June 1967. At that point I had never ventured far from Brooklyn. 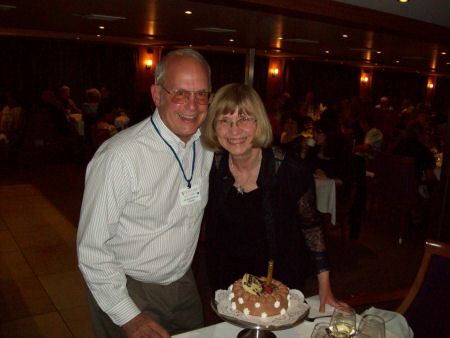 Yet here we are on our Danube cruise on our way from Vienna to the Black Sea on our 46th anniversary. On our wedding day the priest forgot to show up and that set the tone for many June 3rds to follow. If you keep up on the news from Europe, we were just ahead of the floods on the Danube and hadn’t booked the post cruise excursion in Istanbul (which had to be cancelled because of the violence). So this anniversary will be recorded as one of the good ones. We were traveling with friends we have known for exactly 50 years so it was sort of a double anniversary celebration.